Viknesh Vijayenthiran April 18, 2012 Comment Now! 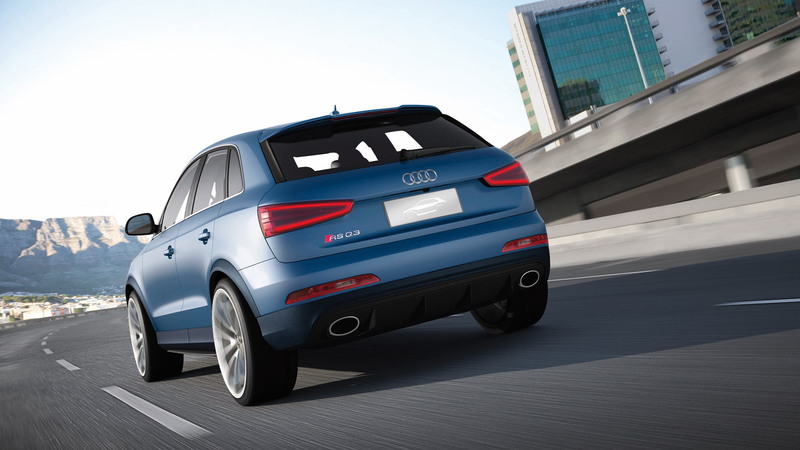 At this month’s 2012 Beijing Auto Show Audi will be presenting a performance-enhanced version of its Q3 compact crossover, the new RS Q3 Concept. 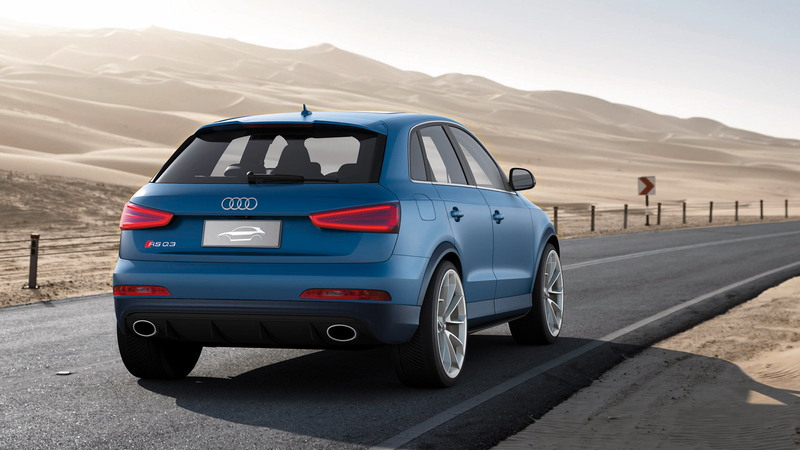 As its name suggests, the concept is the creation of Audi quattro. 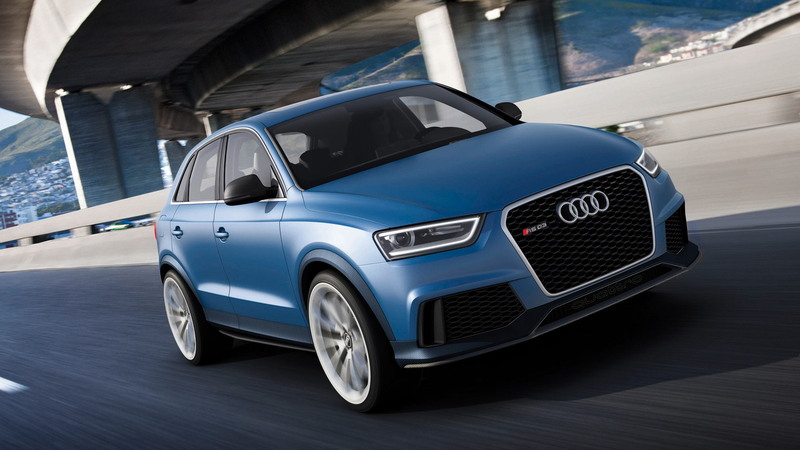 It's also the first SUV crossover to wear the Audi performance division's storied RS badge. Under its hood is the now-familiar 2.5-liter TFSI engine found in several performance models including the TT RS and RS3 Sportback sold overseas. 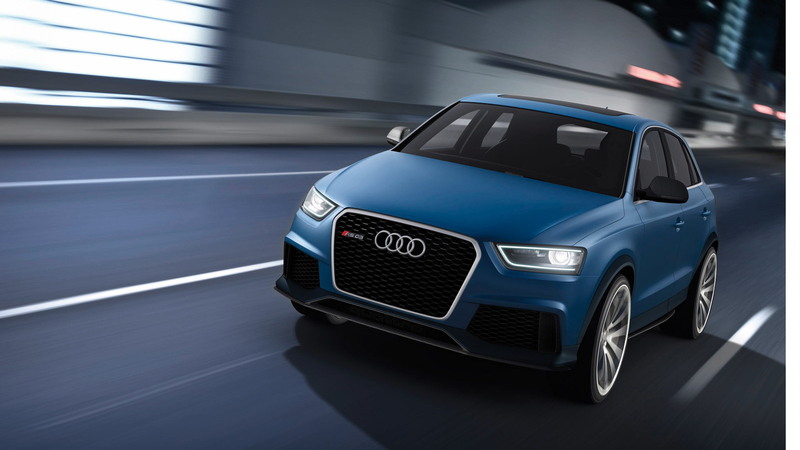 Thanks to the combined effects of direct injection and turbocharging, the five-cylinder engine develops a healthy 360 horsepower--enough to rocket the RS Q3 from 0-60 mph in just over 5.0 seconds and see it reach a top speed of 165 mph. 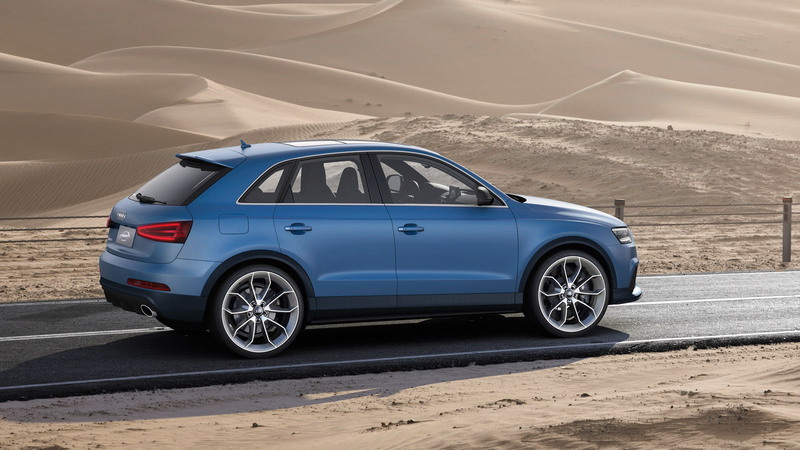 The engine is matched to Audi’s brilliant S tronic seven-speed dual-clutch transmission, which then directs drive to all four wheels via a quattro permanent all-wheel drive system. Generally, it directs these forces almost exclusively to the front wheels, but a loss of traction means more of the driving forces can be sent to the rear wheels. All of this is done via a hydraulic multi-plate clutch with electronic control--instantaneously and variably. Other performance aspects of the latest concept are uprated brakes, lowered suspension and 20-inch alloy wheels. The tire size of 255/30 is not exactly typical for a compact crossover, but certainly for an RS model. There are also several carbon fiber highlights on the exterior to complete the performance look. In the interior of the Audi RS Q3 Concept, which gets plenty of light through a glass sunroof, black and blue is the theme. The contrasting theme also continues into the carbon fiber trim material, which features blue luminescent glass fibers weaved in between the carbon. The steering wheel has large control stalks made of carbon, and these are framed by aluminum accents. Most of the wheel is covered with black Velvet leather--a leather that gives the hands a secure grip and repels dirt very well. Other surfaces are covered in blue Alcantara. While Audi has made no mention of production plans for its RS Q3, the automaker does state that the concept explores the potential of the Q3 in a new way. If it ever is produced there’s a strong chance that it will be offered in the U.S. now that the regular Q3 has been confirmed for local sale. The 2012 Beijing Auto Show commences on April 23. For a look at the rest of the event’s offerings, head over to our dedicated show page.